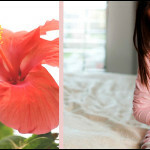 Whether it is your hair, face or skin, Hibiscus pampers all by nourishing and moisturizing the scalp and hairs. The antioxidant properties of hibiscus help to fight skin issues like acne and oil and keep it fresh. Hibiscus also acts as a natural conditioner for healthy, strong, conditioned hair.  When Applied on Skin, Hibiscus encourages an all-around fresher, younger, smoother looking complexion. 1. Hibiscus helps to purify the skin by breaking down dead skin cells. 2. Cleanses the skin in a natural way, lightens and brightens the skin. 3. It gently cleanses and exfoliates leaving your skin moisturized and soft. 4. Keeps skin refresh & rejuvenate.  When Applied to hairs, improves blood circulation under the scalp to stimulate healthy hair growth. It is rich in amino acids your hair, strengthen the roots, and keep hair locks lustrous and healthy. 1. Fights dandruff and soothes scalp itchiness. 2.Delays premature greying of hairs. 3. Prevents dryness, frizz, and breakage. 4. Gives hair a healthy luster with bounce. 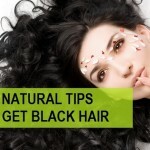 5.Natural conditioner for healthy, strong, conditioned hair.  When applied over Face, nourishes and moisturizes the skin. Purifies skin by breaking down dead cells and give skin a refresh pampering experience. 1. Soothes acne prone skin. 2.Controls unwanted excess oil of skin. 3. Tightens the skin while smoothing wrinkles and fine lines. 4. Throws out the unwanted excess oil from skin pores that directly stops causing acne & pimples. 5. Gently smoothens and softens the skin. 1. Hibiscus powder for stone cures gall bladder stone or kidney stone. 2. Consumption of hibiscus controls the level of cholesterol. 4.Beneficial for weight loss as it absorbs starch from the body. 5. Improves digestion as it regularizes both urination and bowel movements. Hibiscus powder provides a nutrition rich drink that extremely low on calories and made body rejuvenate both physically as well as spiritually. One should use organic products when it comes to skin and hairs. Organic is made with natural herbs as like there is a brand that made organic Products only, Indus Valley. Pure herbal powder made of fresh and natural hibiscus flower. Contains no chemical and adulterations. 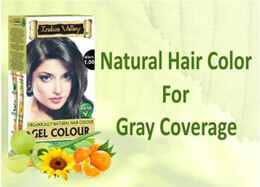 Best for both skin and hair care. 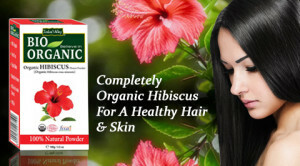 Indus Valley Hibiscus Powder is 100 percent real food nourishment for your skin and hairs. Pamper your skin and hair naturally with a 100% Organic Hibiscus Powder that not only helps in maintaining a dirt-free scalp but also exfoliates your skin and face with its natural scrubbing and cleansing properties. Enriched with antioxidants this is an ideal natural solution to purify your skin and keep a healthy, nourished scalp naturally.